As far as entry-level helmets go, it is tough to beat the value of the CL-17. In a helmet that comes in under the $150 range, these lids offer fully removable interiors, DOT & Snell safety certifications, and sizes all the way up to 5XL. At the same time, HJC has not forgotten to add ample amounts of style to the mix as well. 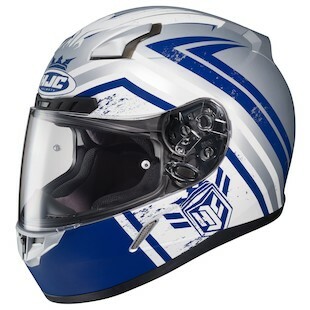 The new HJC CL-17 Mech Hunter Helmet has the feeling of a lid that has combined an F-1 race car with an Autobot, and thrown them together in a futuristic, Halo-esq battle helmet. With prominent colors coming in Red, Blue, Orange, and a Green/Sand combo that has a noticeable resemblance to Army fatigues, this helmet comes ready for whatever your own personal style may be. 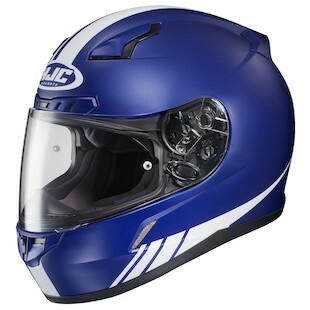 If you are a motorcyclist looking for a helmet that prefers to stand out slightly more than a standard, solid color helmet allows for, but not quite as much as some of the more “loud” graphics can necessitate, then the HJC CL-17 Streamline Helmet is a great option for you. Subtle, swooping accents along the base of the jaw and over the top of the head break the visual monotony of a non-graphic helmet without getting overtly in your face, while a wide variety of colors affords many options to fit your unique tastes. For the rider looking to garner the most bang-for-their-buck in an entry-level helmet, yet still get a style that stands out in a crowd, the HJC has you covered with the new Mech Hunter and Streamline graphics.